Federal Metals and Alloys is a Non-Ferrous, Ferrous and Precious Metals scrap metal broker located in South Plainfield, New Jersey. We buy non-ferrous, ferrous and precious metals and have a variety of services to meet your individual needs. 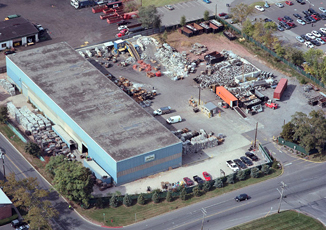 Our family owned company was founded in 1974 and has grown today to be the largest established metal recycling yard serving central New Jersey. Our six acre facility has equipment and personnel to accurately analyze, measure and process materials. We provide sellers of non-ferrous metal competitive bids available through our established network of metal brokers. From individuals cleaning out their garage to large corporations, manufactures, contractors and municipalities, Federal Metals and Alloys is the one stop center to recycle all non-ferrous, ferrous and precious metal material. Bring your scrap material and get paid cash. If you have something not on our list of materials, please give us a call at (908) 756-0900. Our friendly representatives will be happy to let you know if your item is of interest to our company. If not we can usually refer you to another recycler who may desire it.